Having been lucky enough to get the last parking space down by the bridge we set off up the lane to take the path up to Maiden Moor. 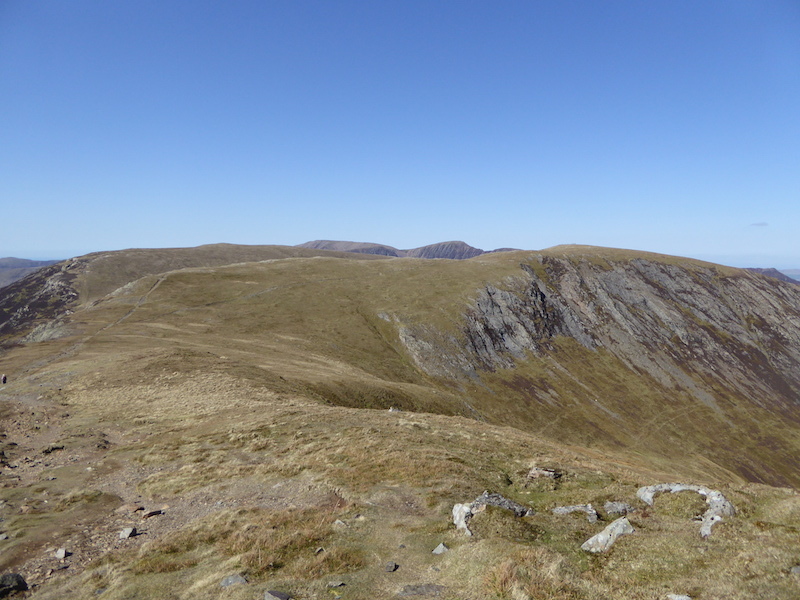 A look back shows Hindscarth and Scope End in the centre with Robinson to their right. We’ll be over there later on. 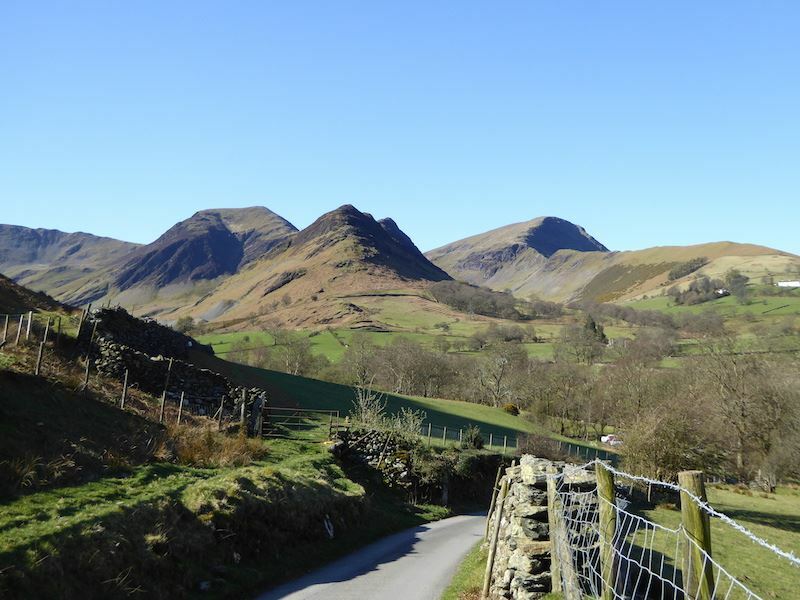 Just to the left of Hindscarth is Dale Head, we’ll be over there later on too. Looking back down the path we are taking to Hause Gate on a really lovely morning. 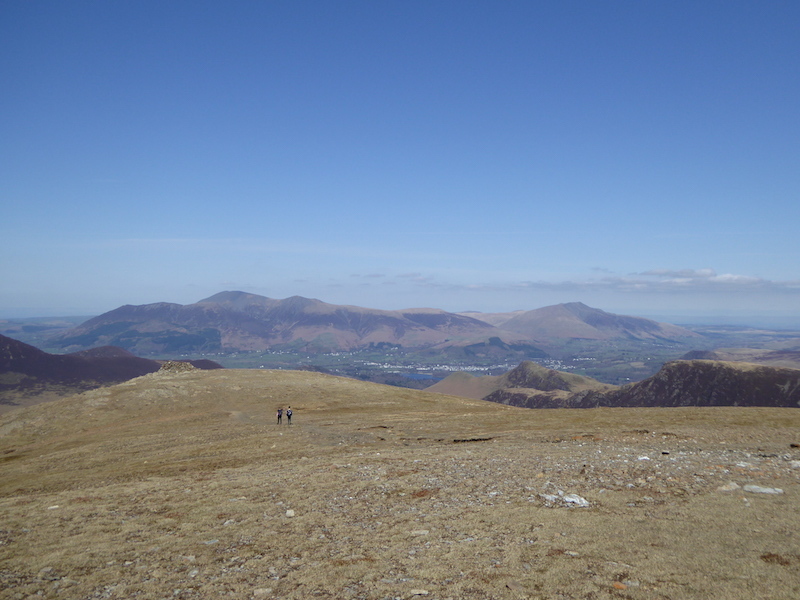 A look across to our left shows Skiddaw towering over Carlside and Ullock Pike, with Swinside, in the centre, dwarfed by all of them. Over there is Catbells, but we are giving that a miss today. On the way to Hause Gate we came across the remains of this derelict building. A leftover from quarrying or mining in the past perhaps. 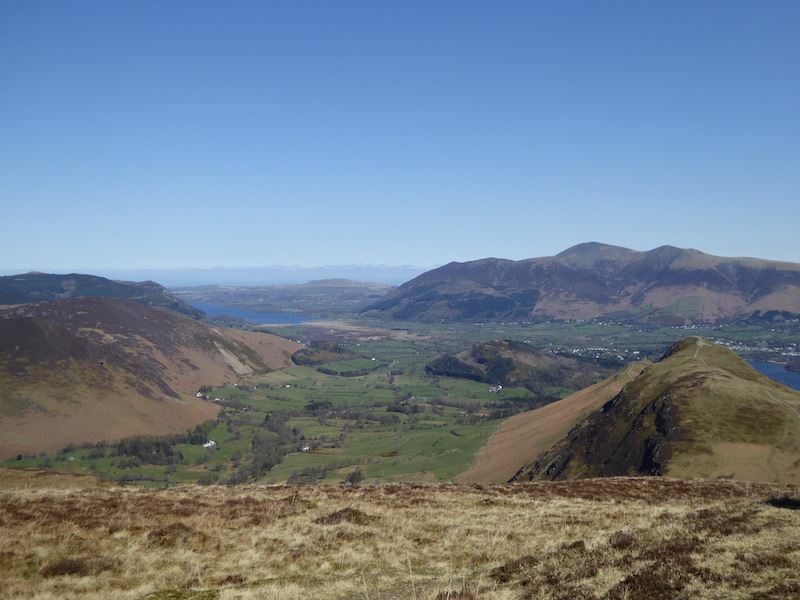 Climbing up from Hause Gate we stop to take in the view of Derwentwater, with Skiddaw on the left, Blencathra in the centre and on the far right is Clough Head. 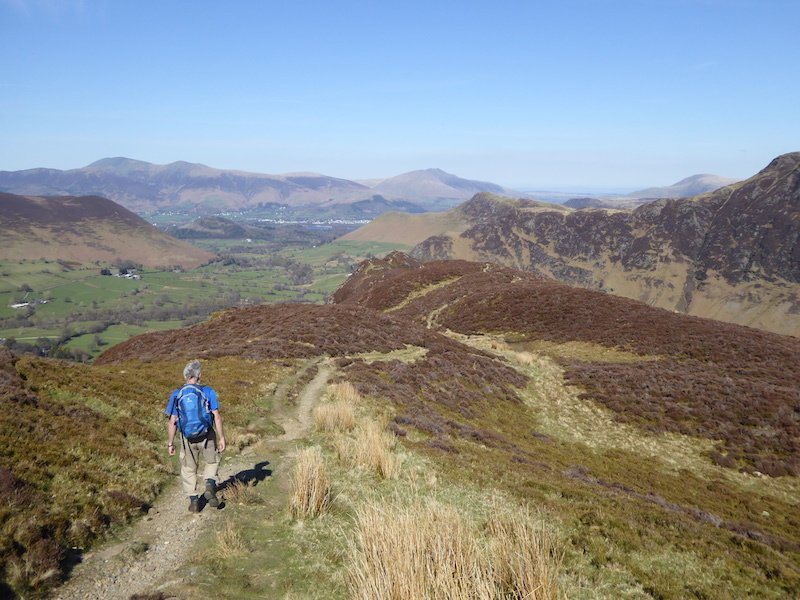 Looking back across Hause Gate to Catbells, lots of walkers out on there today. 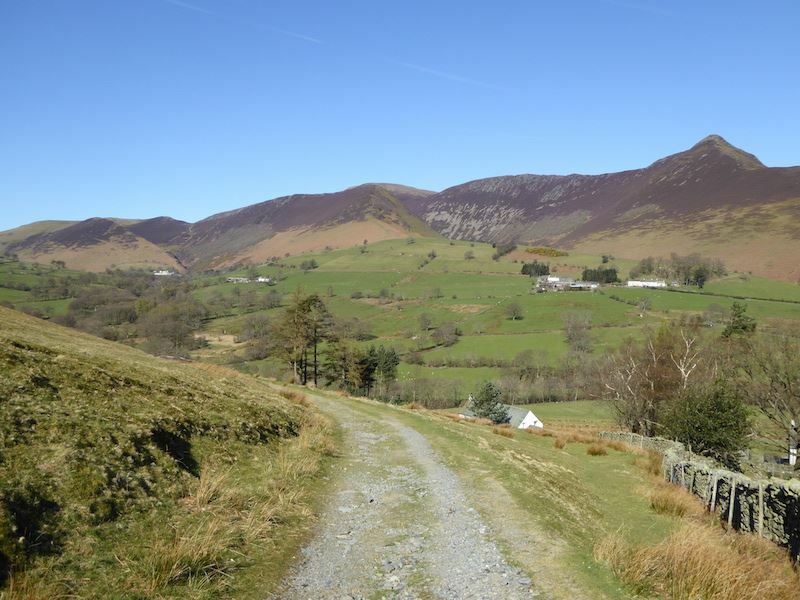 Across Derwentwater Clough Head is prominent on the left skyline and to the right of it is Bleaberry Fell. 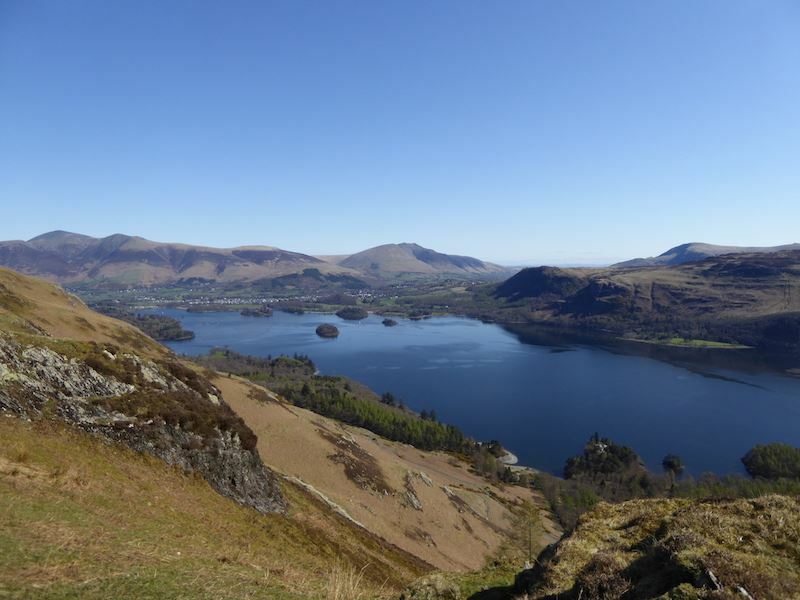 One of the Derwentwater ferries is making its way towards one of the landing stages. 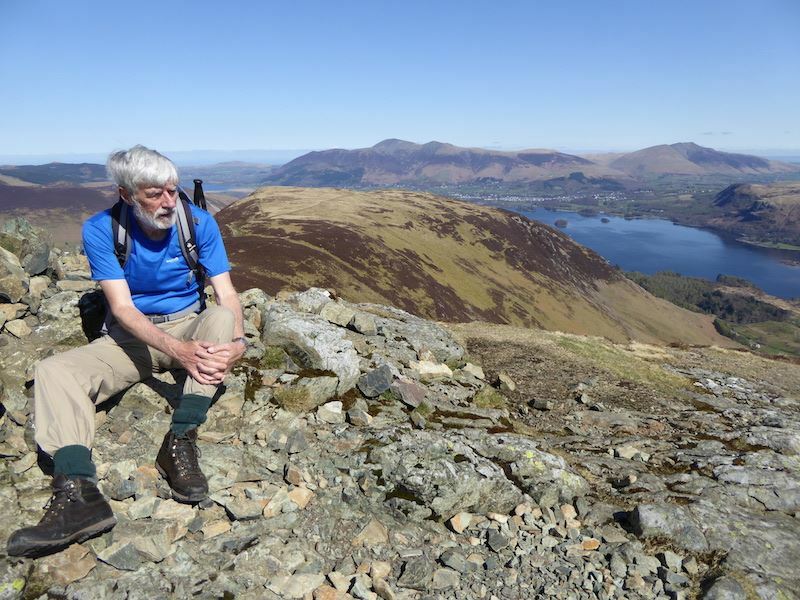 A look back at Catbells as we continue along Maiden Moor. With a little bit more height gained we get a better view of Bass Lake over on the left. 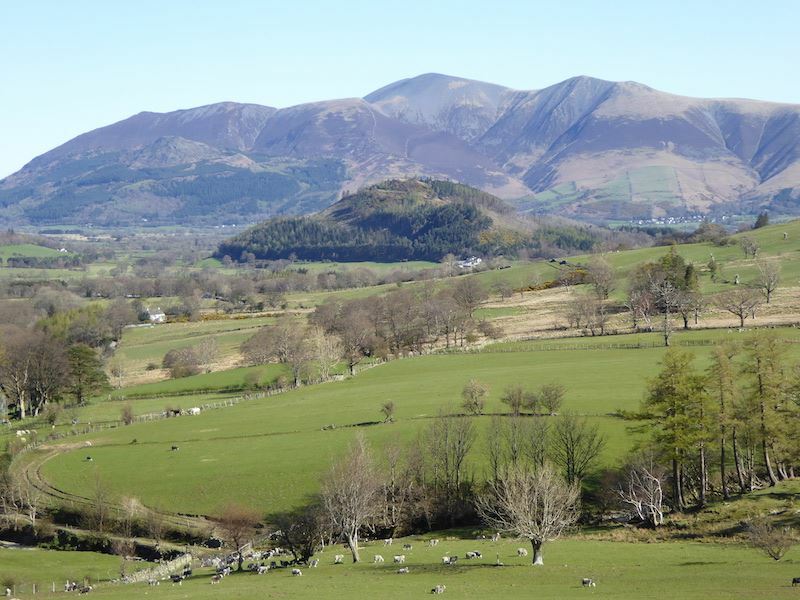 The Coledale fells across the Newlands Valley. 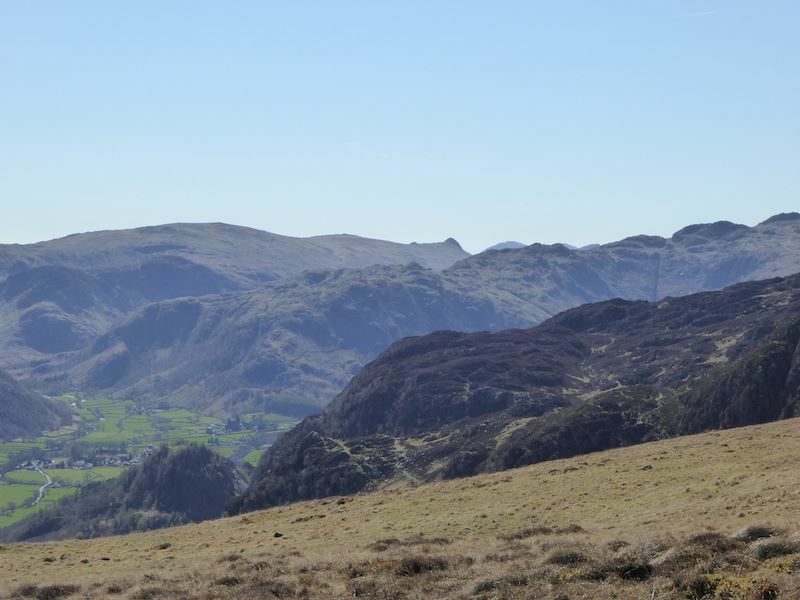 Still making our way over Maiden Moor and on the skyline toward the centre of the picture is the unmistakeable hump of Pike O’ Stickle. 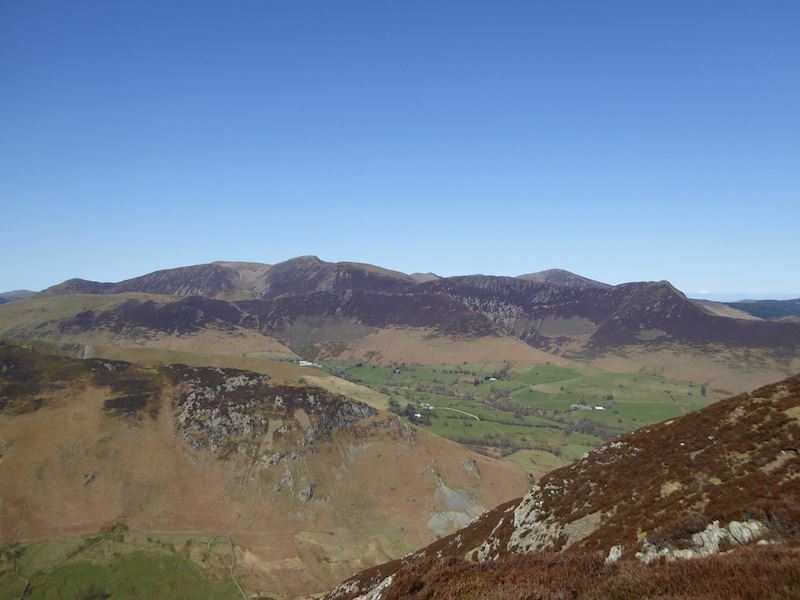 Continuing across Maiden Moor and looking over at Blea Crag on the left. 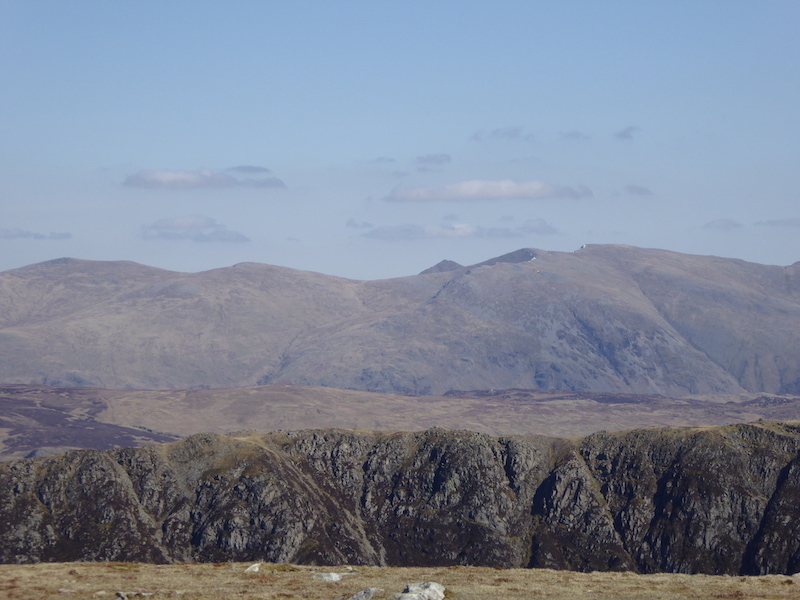 Nearest to us across the valley on our right is Hindscarth and behind that is Robinson. 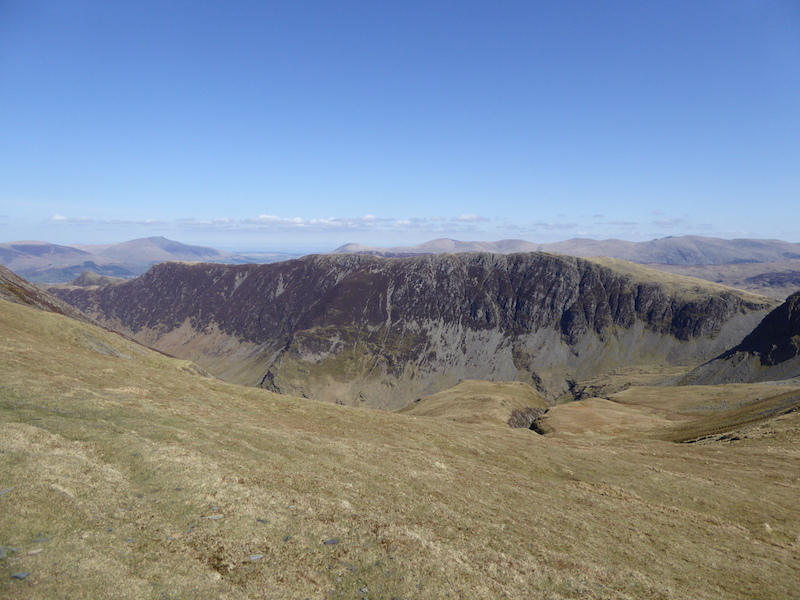 Hindscarth again on the right and now Dale Head on the left comes into view. 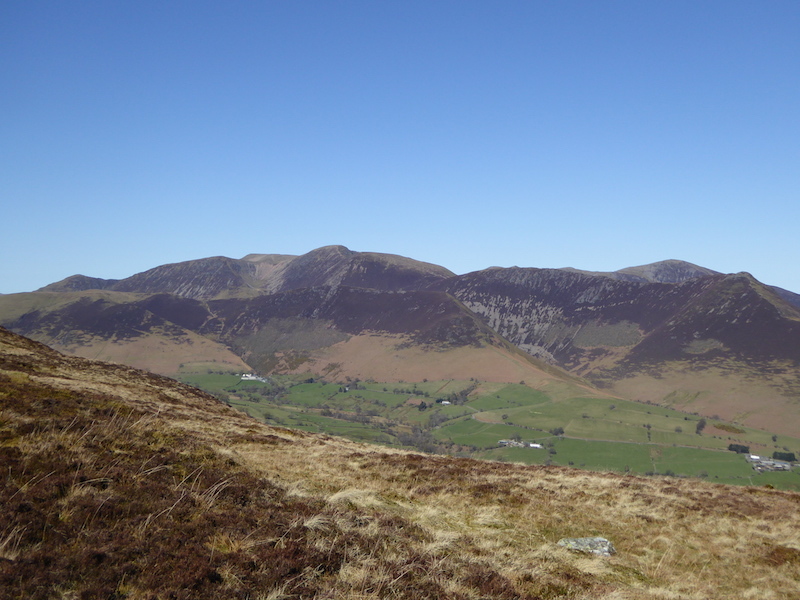 Another view of the Coledale fells from Maiden Moor. 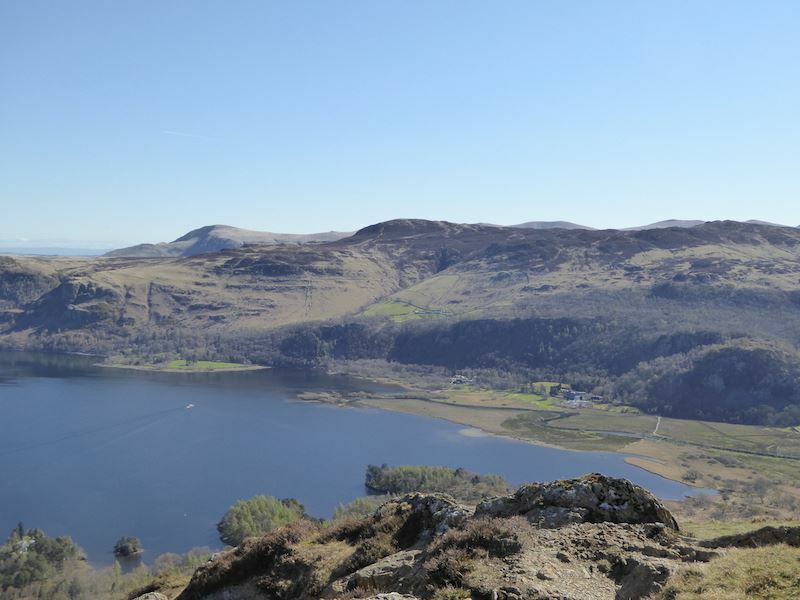 We made our way over to Blea Crag and take a look back at Maiden Moor and Derwentwater. 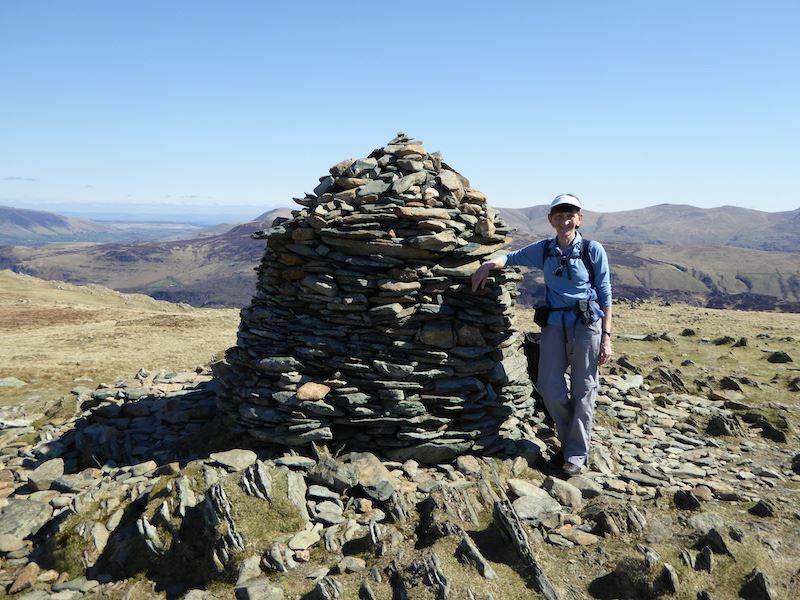 From Maiden Moor we make our way over to High Spy and its splendid cairn, with the eastern fells providing the backdrop. It wasn’t a place to linger today as there were a lot of people up there, quite a few who looked as if they were there for the day with their picnics spread out on rugs. 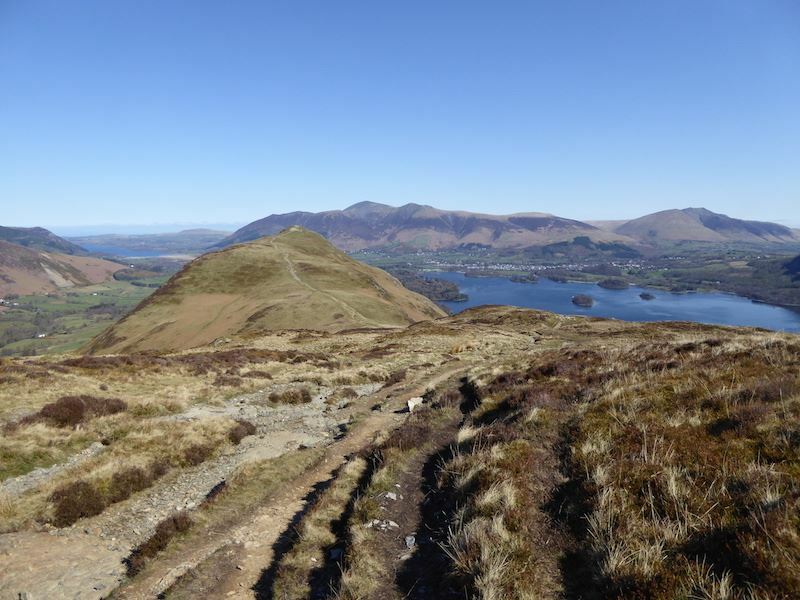 It soon became obvious that there was some sort of fell running event taking place when a constant stream of runners passed by, all of them sweating, puffing, panting, and wheezing. Time for a short break on High Spy before we go over to Dale Head over on the right, so we find a relatively quiet spot and watch all the goings on. 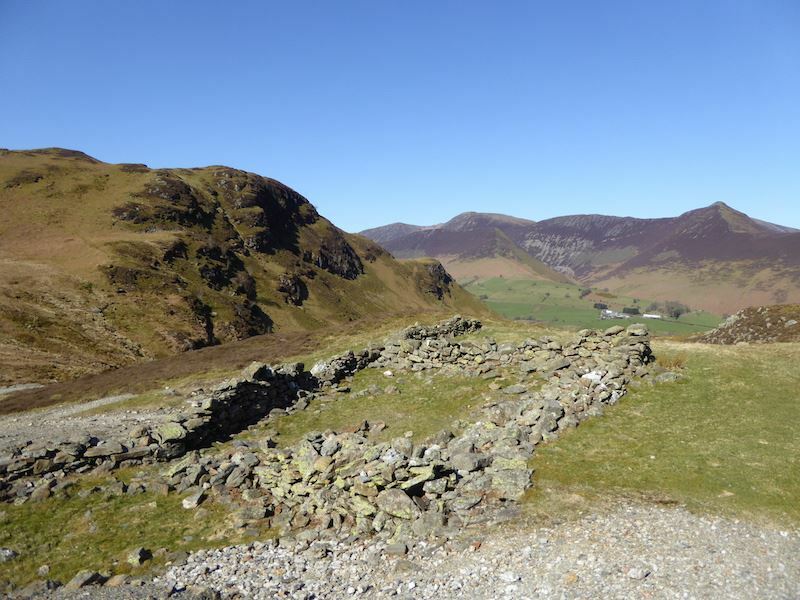 There’s a large number of runners passing the check point on Dale Head summit. From High Spy a look southwards across to some of the bigger fells. 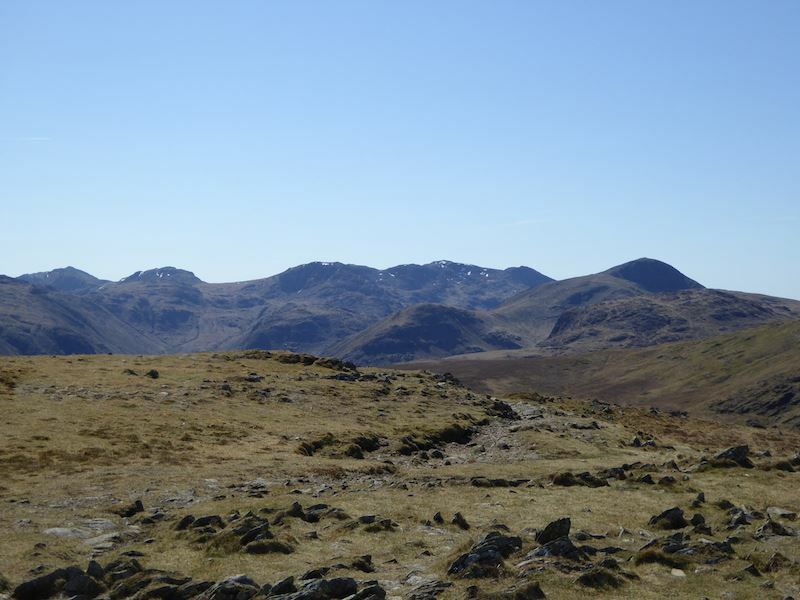 Scafell Pike to the right of centre still with some snow patches, with the distinctive curve of Great Gable over on the right. Down below us to the right is Dale Head Tarn and so off we go down to it. All the way down we were meeting runners (although some were reduced to a walk at this point) coming towards us and heading for High Spy. 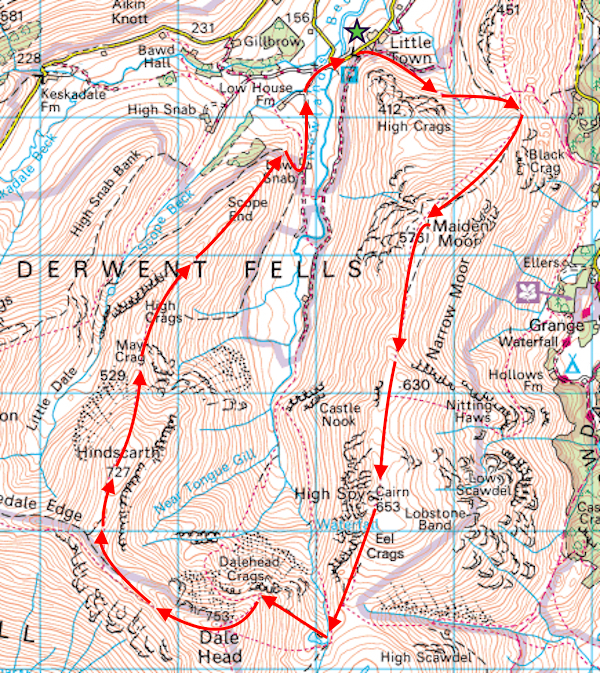 We round Dale Head Tarn to take the pitched path up to Dale Head. 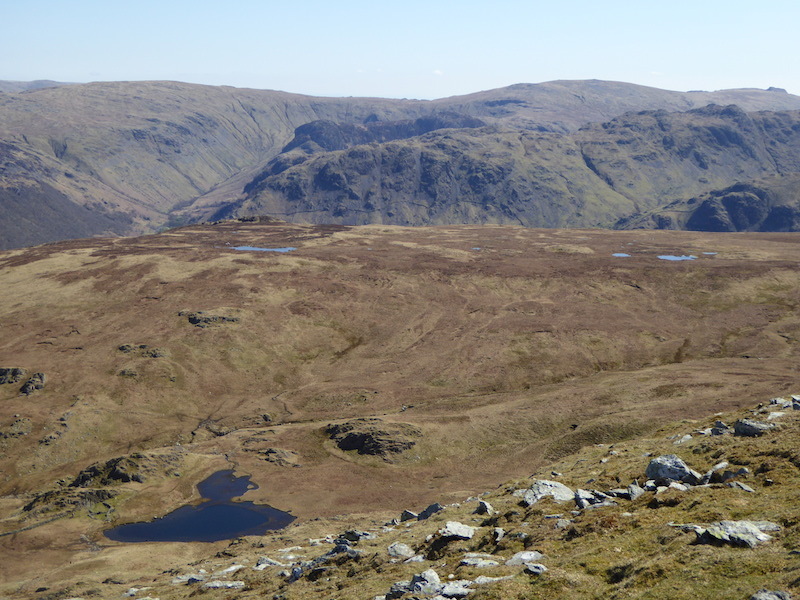 We hadn’t planned on going up to Dale Head but it was such a nice day we had a change of plan. 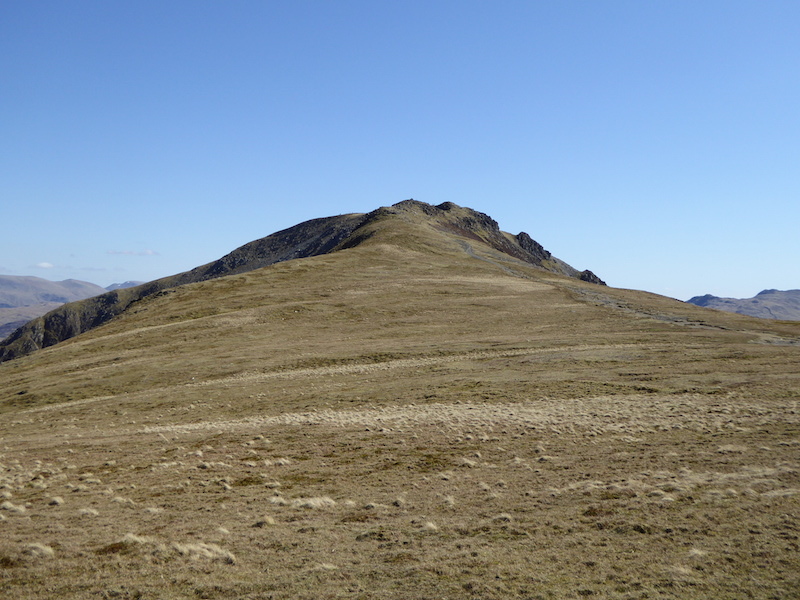 Tables were now turned and it was our turn to sweat it out up the path to the summit while the runners were hurtling down it at a fair lick. 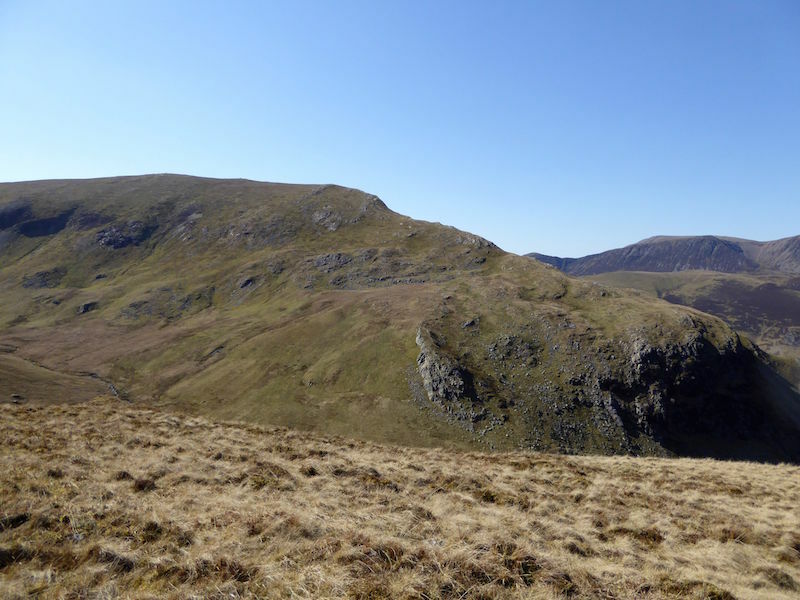 As we climb to Dale Head we take a look back to High Spy and the runners toiling up to its summit. 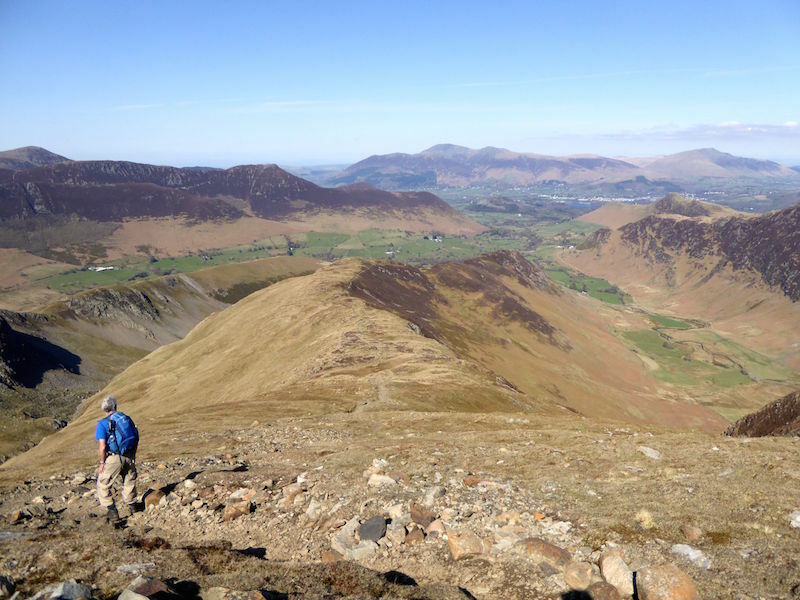 I am always amazed that people run up and down these fells since I can’t even run on the flat for very long. I never have been much of a runner even as a kid. I’d be happy just to be able to walk up them a bit quicker than I do these days. 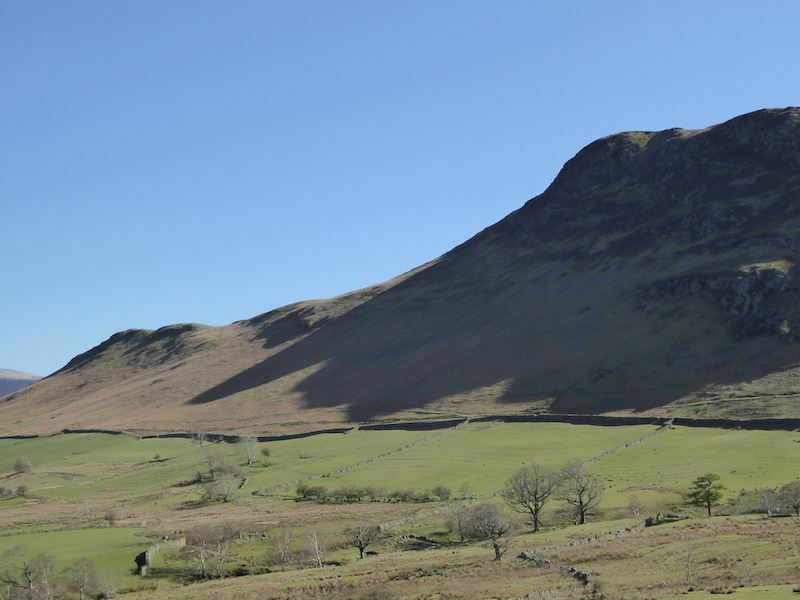 Looking over at High Spy and Maiden Moor. It was difficult to take photos of anything behind us as there was a constant stream of runners coming down off Dale Head. 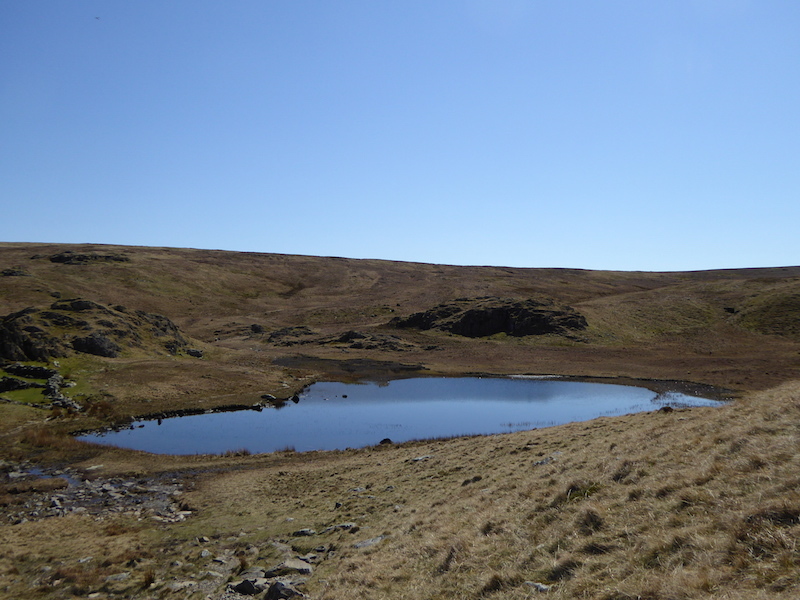 Three tarns below us. 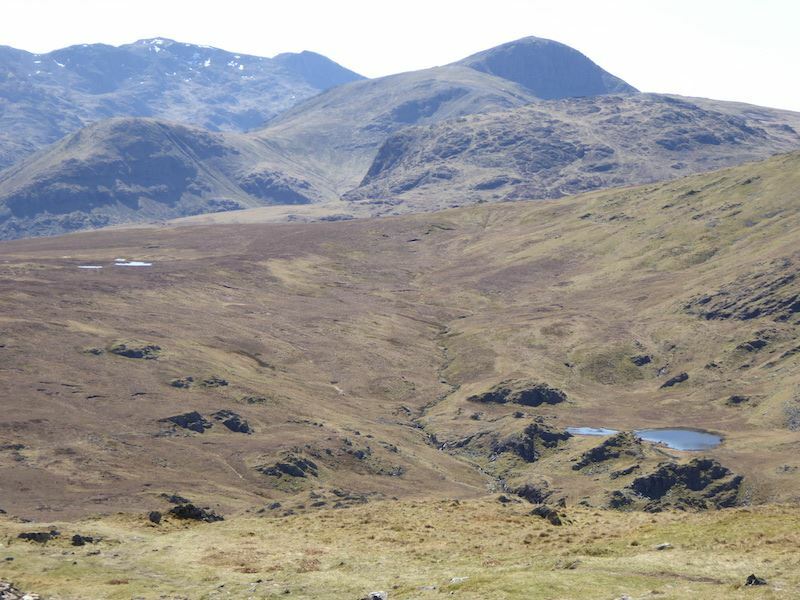 There’s Launchy Tarn on the far left, to the right is an un-named tarn, and just below us is Dale Head Tarn. 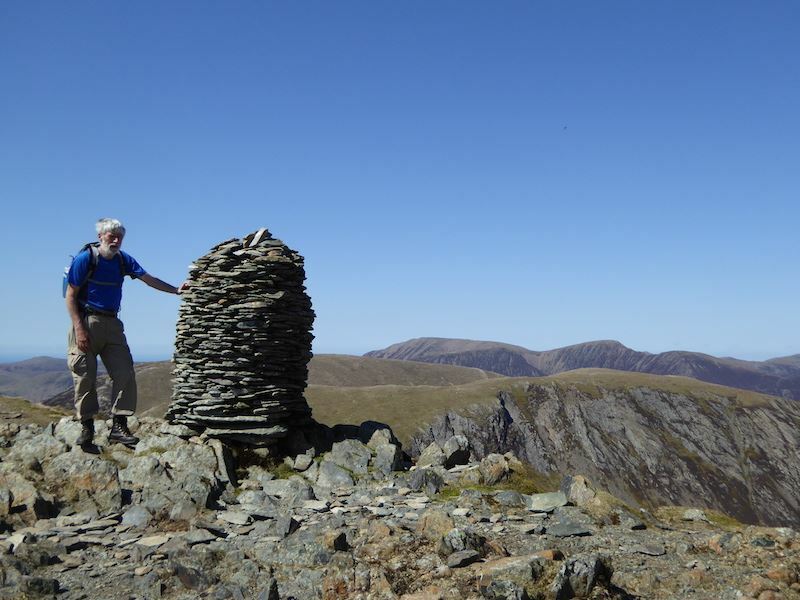 Dale Head summit cairn looking west to Grasmoor, on the skyline just to the right of the cairn, with Crag Hill and Sail on its right. 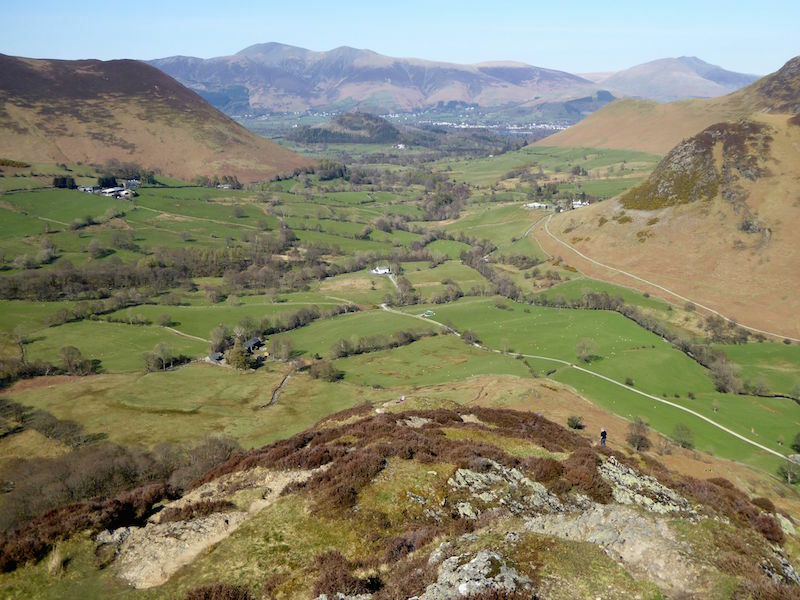 Looking along the Newlands Valley from Dale Head summit. 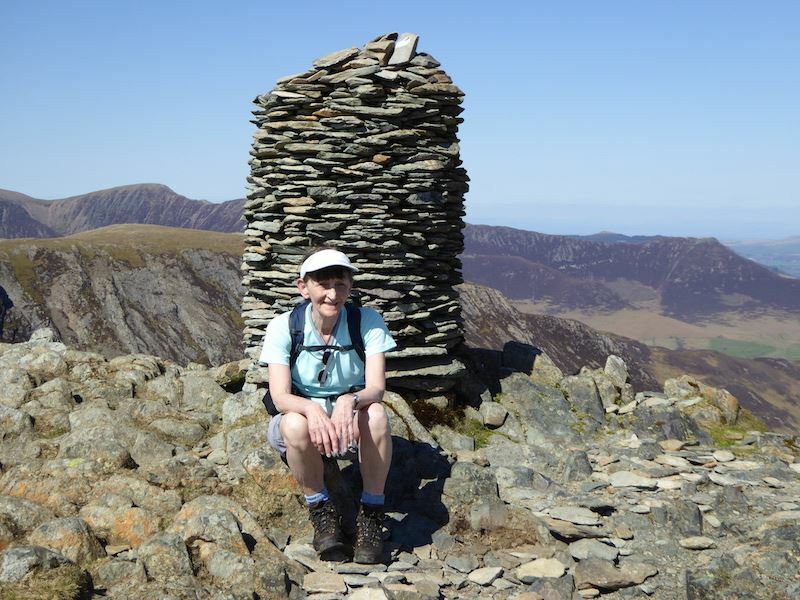 Dale Head summit and a chance to sit down and give the legs a rest. 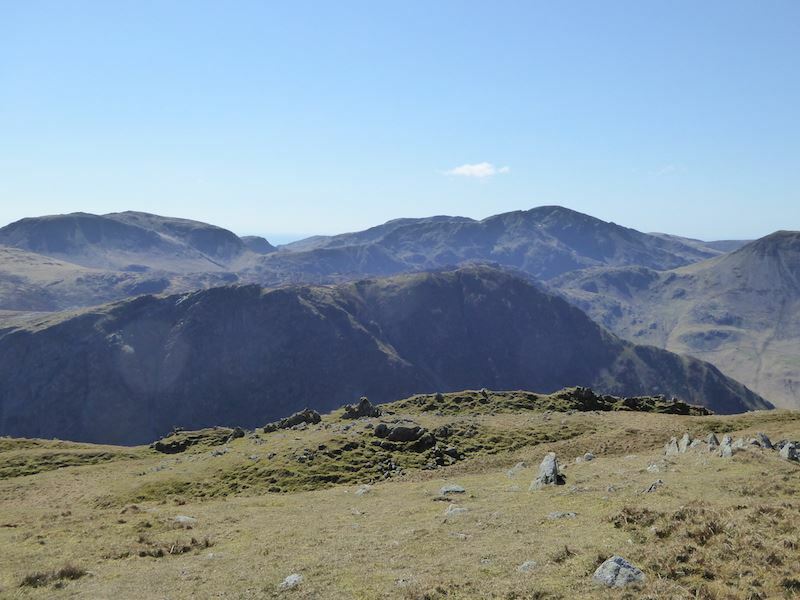 Taking advantage of a gap in the runners for a shot of the view from Dale Head looking east. 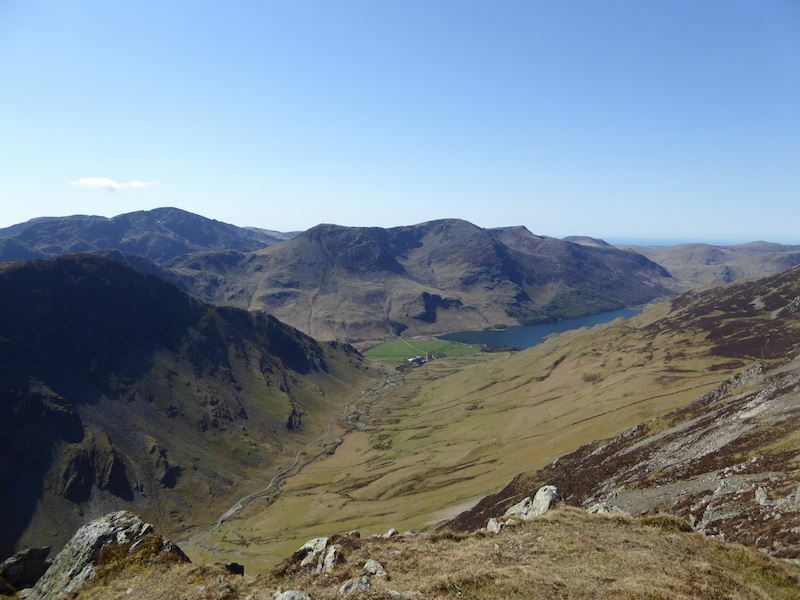 We leave Dale Head to head for Hindscarth and along the way get a view of the High Stile range across the Buttermere valley. 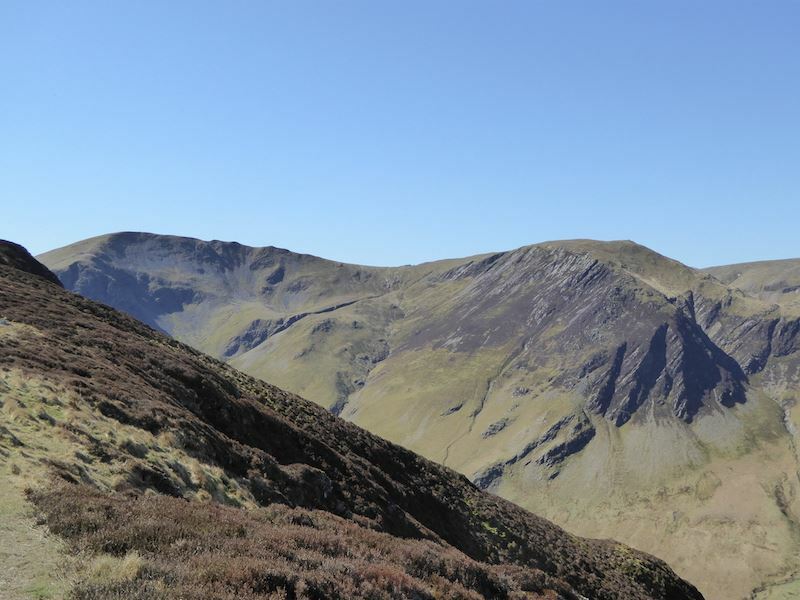 From left to right they are High Crag, High Stile and Red Pike. 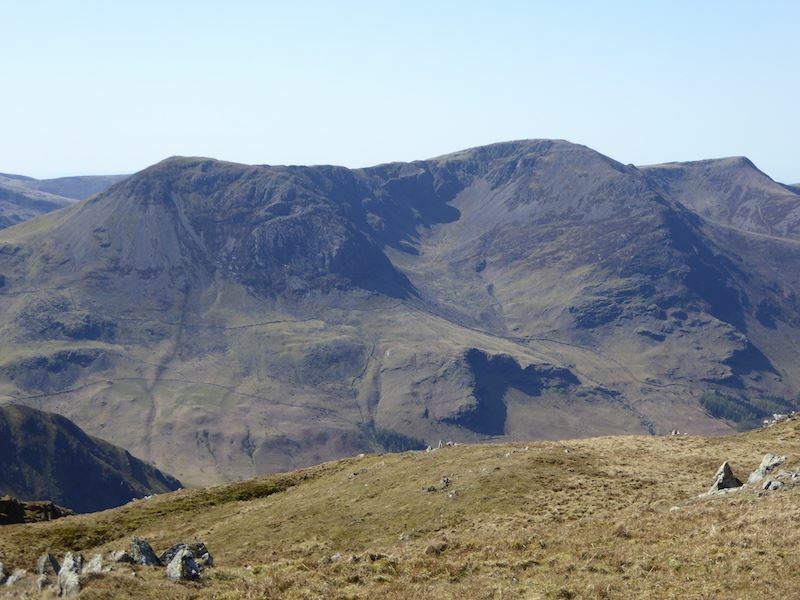 Fleetwith Pike is the fell in shadow in the centre. Oh dammit, its starting to cloud over! 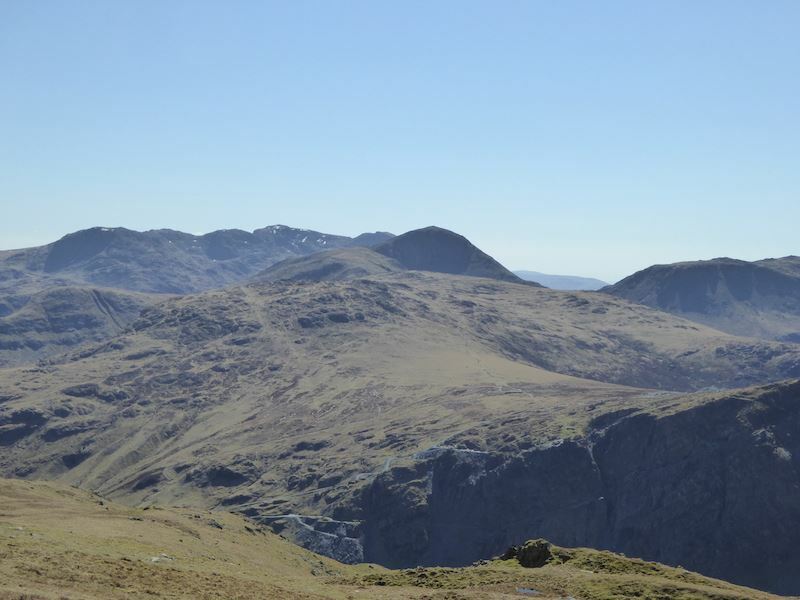 Looking over Grey Knotts and Brandreth to Great Gable, the dark hump in the centre, with the flat top of Kirk Fell to its right. 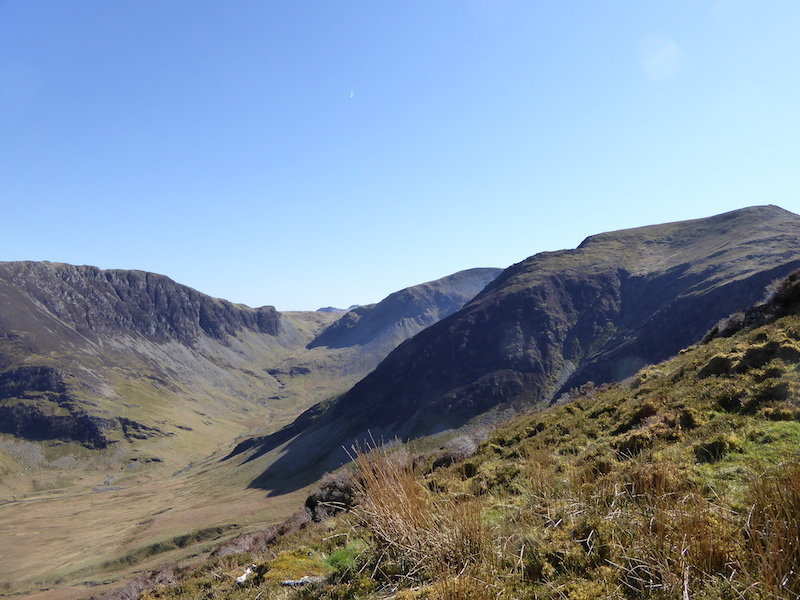 In the centre at the bottom of the shot are some of the quarry workings of the slate mine at Honister below Fleetwith Pike. 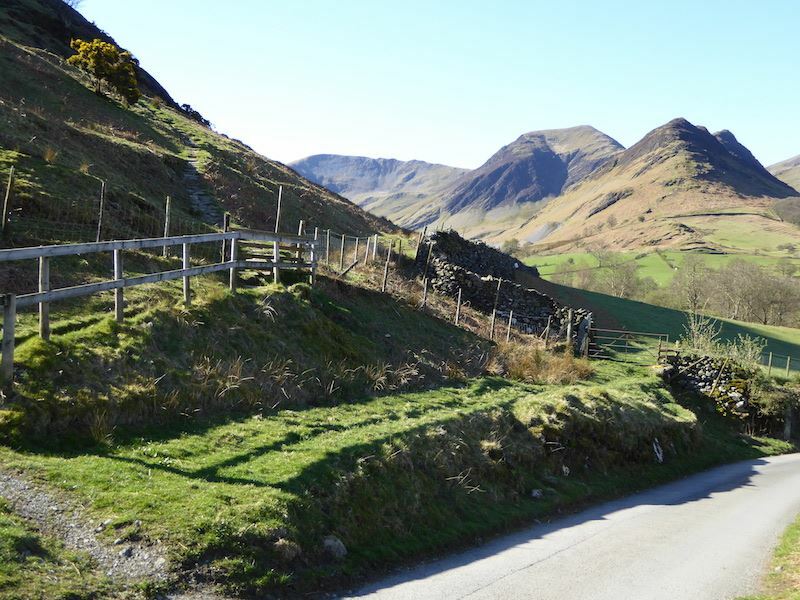 Looking down at the Honister Pass road with Fleetwith Pike on the left of it. Buttermere and the High Stile ridge to the right. 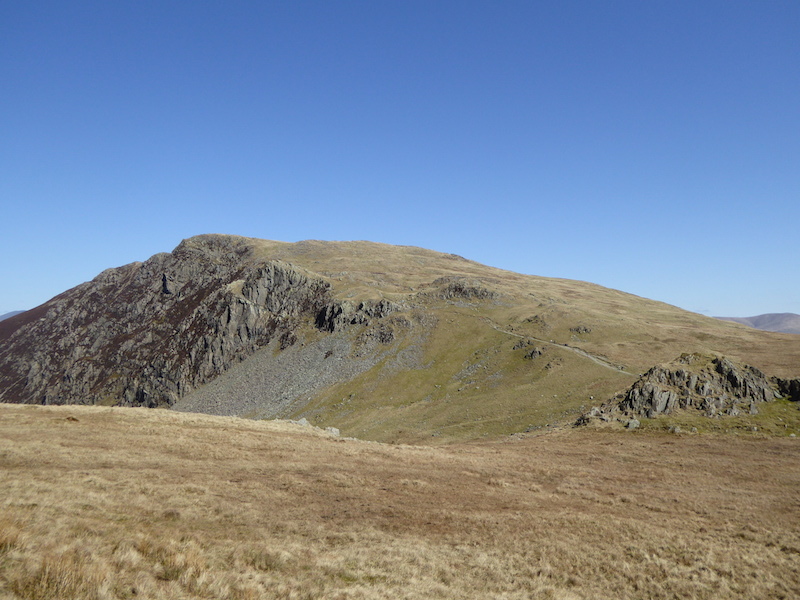 Continuing along Hindscarth Edge to Hindscarth. 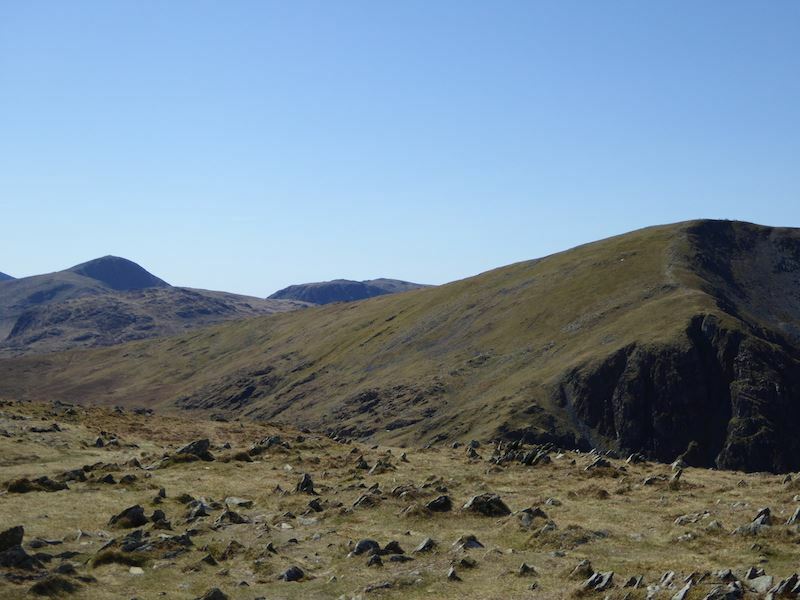 A look back at Dale Head from the route to Hindscarth. 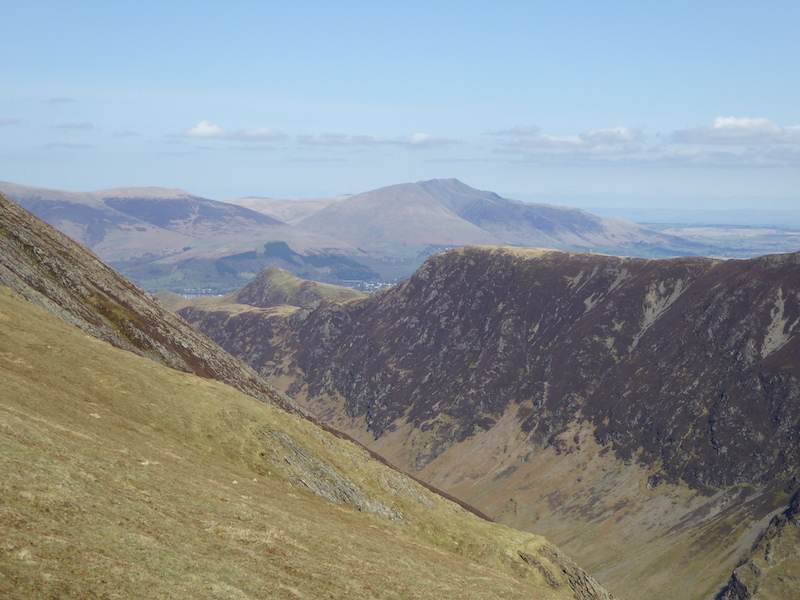 The eastern fells behind the Maiden Moor and High Spy ridge. 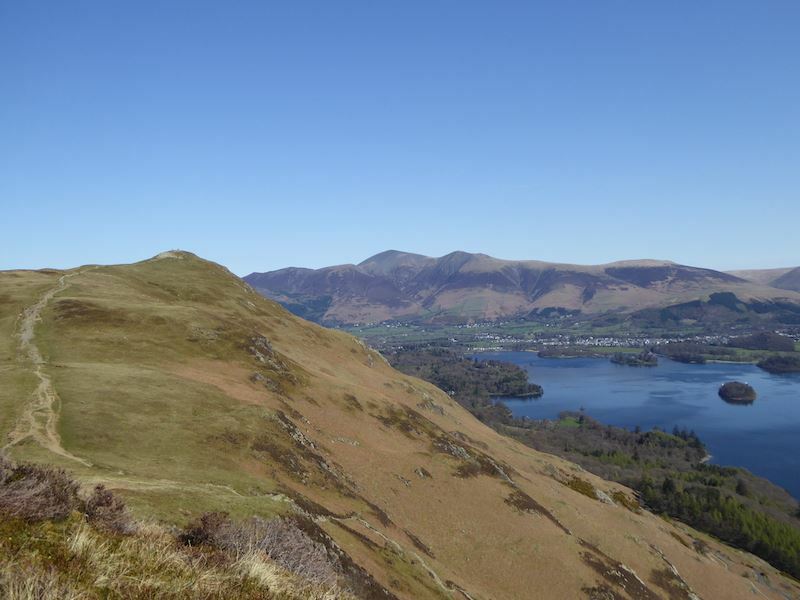 Zooming in on the Catbells end of Maiden Moor with Blencathra just behind. 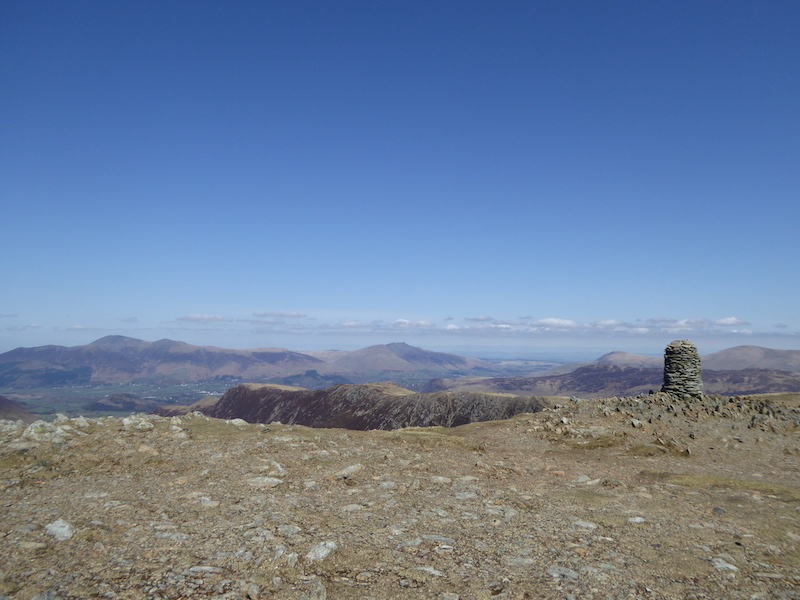 View from the Hindscarth summit looking towards Skiddaw and Blencathra. Where the two in front went is a mystery, we never saw them in front of us on the way down even though we took the same route. 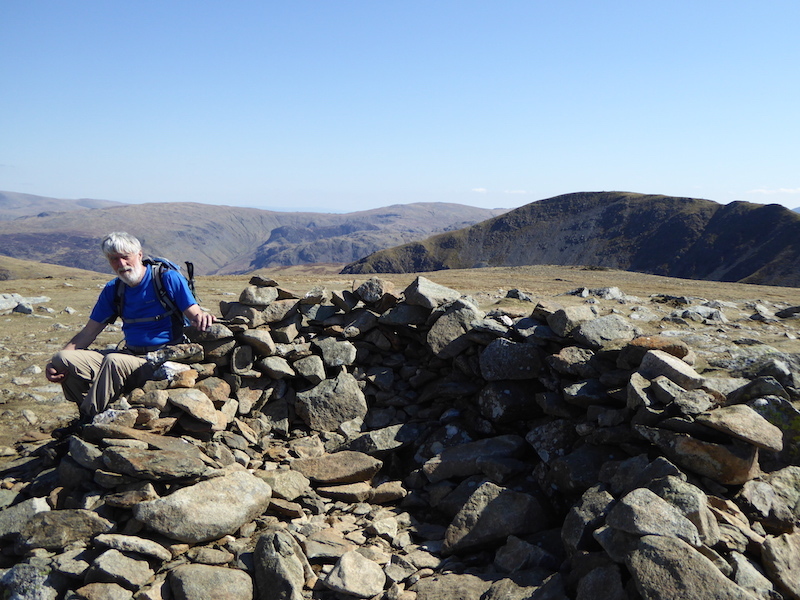 One of the summit shelters on Hindscarth. 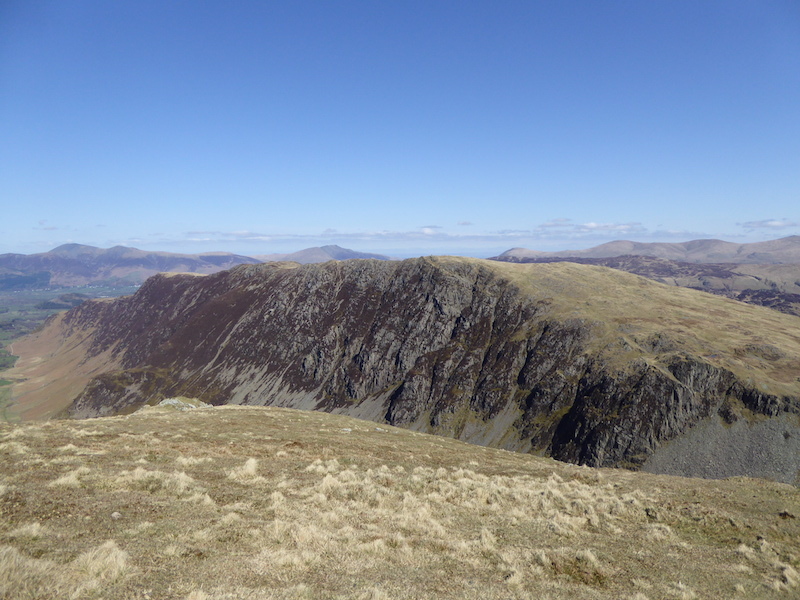 From Hindscarth summit a close up of Catstycam (the pointy one in the middle) and Helvellyn, on the right, which still has a tiny patch of snow left on it. 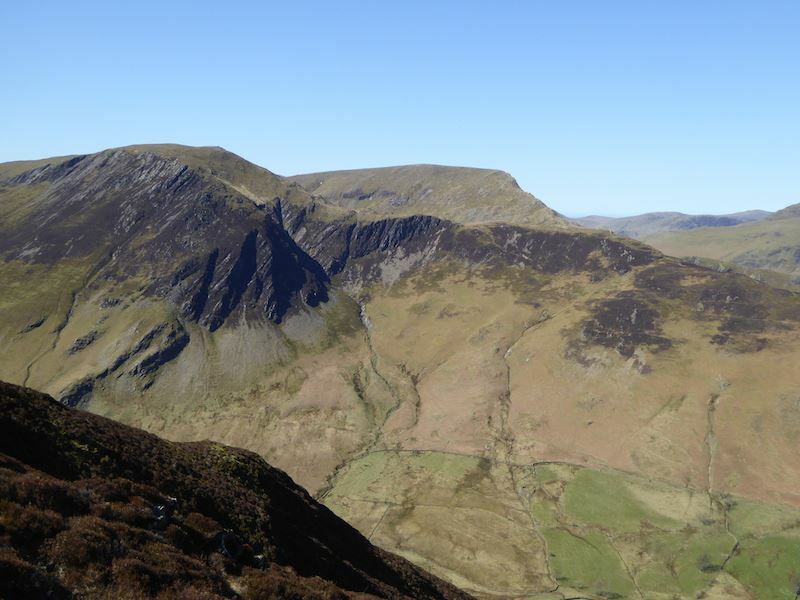 Blencathra from Hindscarth summit. Don’t know I’m still wearing my jacket, perhaps I just forgot all about it. Off we go and make our way down from Hindscarth. We have Robinson on view on our left all the way down. 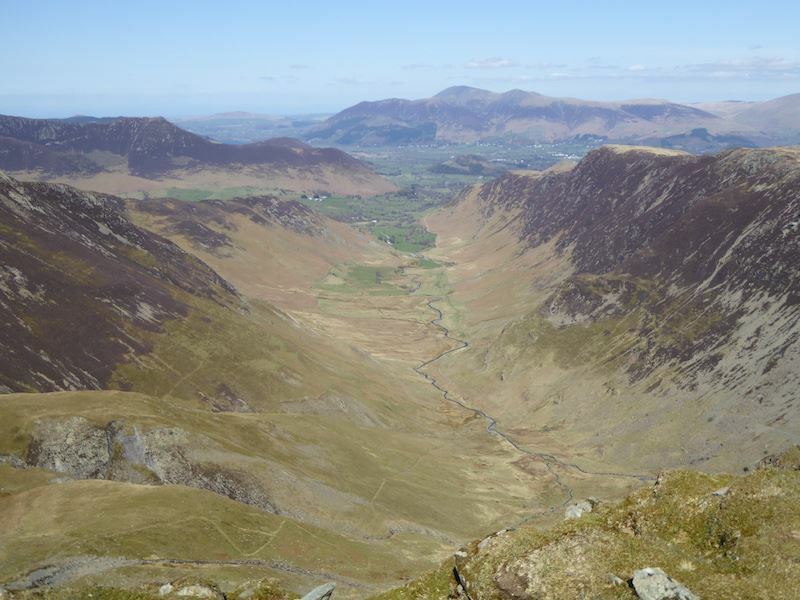 Looking up the Newlands Valley, High Spy on the left, opposite that is Dale Head and in front of that is Hindscarth, which we have just left. Making our way down to Scope End, not difficult but a lot of humps and bumps on the way down it. The view from Scope End. 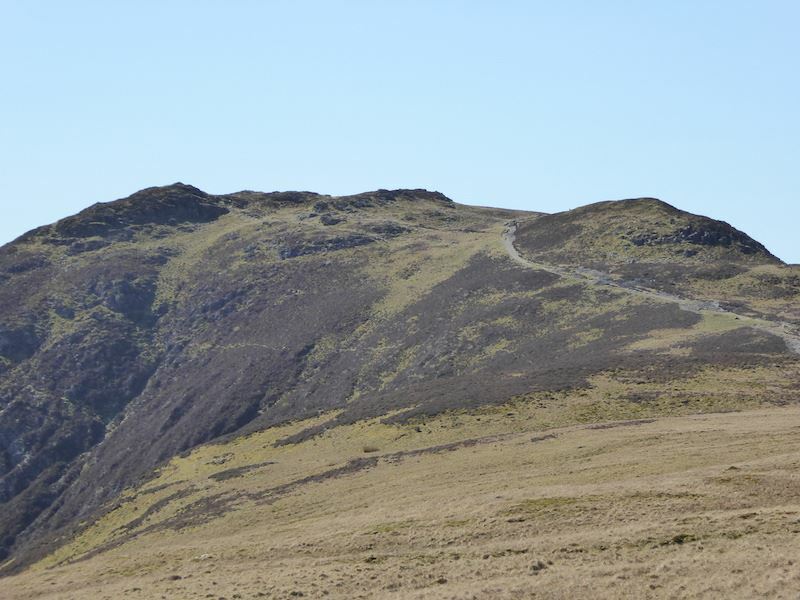 If you zoom in you might be able to see a walker, wearing a dark top, just where the path disappears into the heather on the right hand side, and silhouetted against the lighter brown patch of dead bracken. He was waiting for his companion, wearing a light coloured top, who is much lower down and to the left of him. She was having a heck of a time negotiating the path down there and eventually he had to go down and help her. 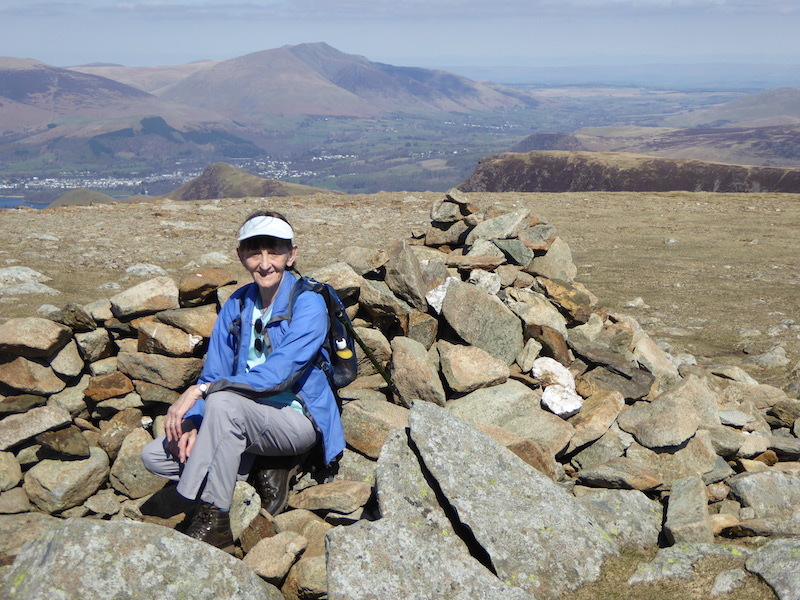 As we reached them she was taking a break on a little outcrop and looked absolutely done for. Its a steep climb to be undertaking at this time of the day, just past 2.00 pm, and with the sun blazing down its turned into a very warm afternoon, so its not surprising that she was having a hard time of it. As we continued down I kept looking back and they were still where we had left them, I got the impression that they wouldn’t be going any further, and eventually they were hidden from view by the humps and bumps of the ridge so I couldn’t be sure what they did from then on. 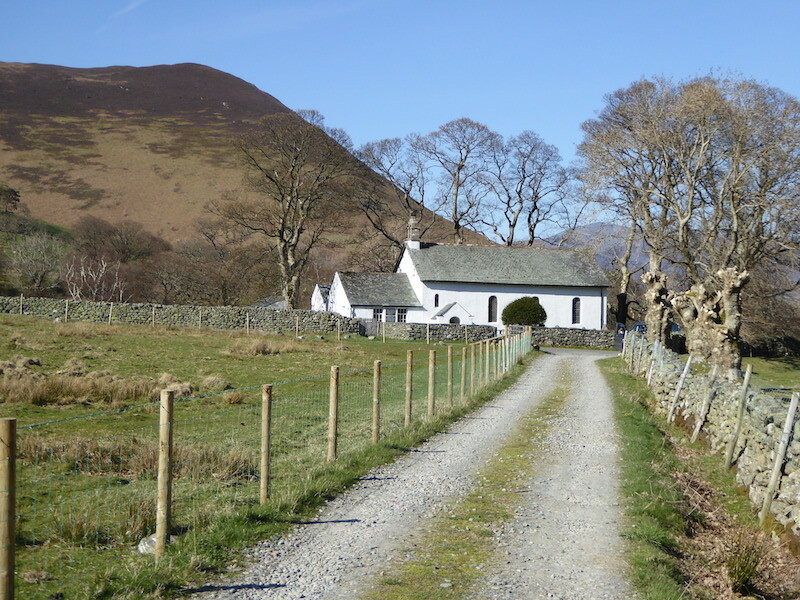 Approaching Newlands Church at the end of our walk. 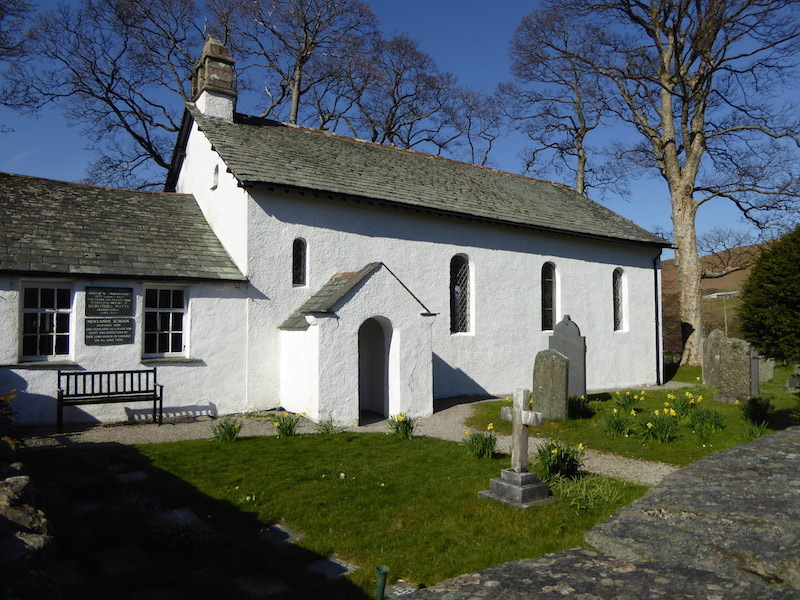 Newlands Church looking pristine in the spring sunshine. 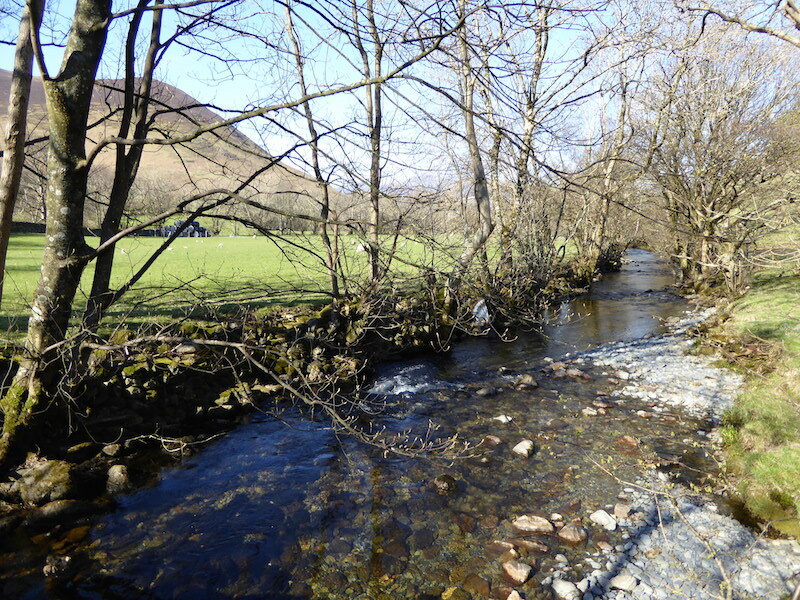 Back at the parking area at Chapel Bridge and a look down Newlands Beck. All around us the lambs are out in the fields, the leaves are showing on the trees, and the grass is becoming green again, spring is finally here, at long last.